As you know, vinegar has many uses in the kitchen, but it can also do some pretty cool things in the garden. Of course, most gardeners already know that household vinegar can be used as an all-natural weed killer. You just have to be cautious when spraying it around your plants since it could damage them in the process. But when you use it properly, it can get rid of weeds in two to three days. 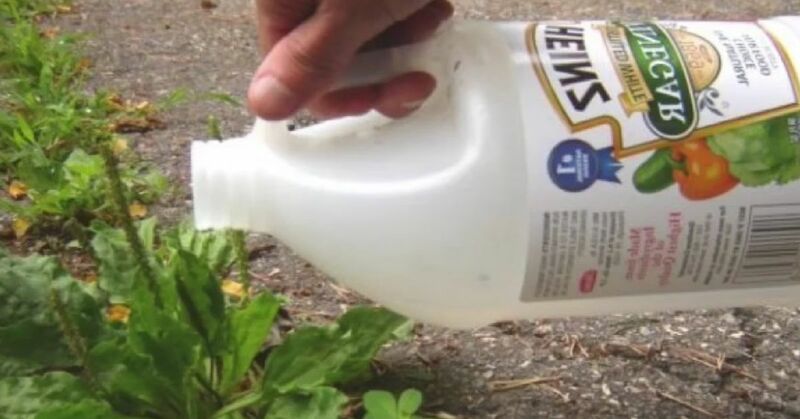 Mix a gallon of white vinegar with one cup of salt and two tablespoons of dish-washing soap, and you'll be ready to start annihilating even the most stubborn weeds. Clay pots are beautiful, but they are also infamous for absorbing salt, calcium or other minerals. If you want to remove those unattractive white stains, soak your pots in a mixture of one cup of white vinegar and four cups of water for half an hour. Ants avoid the strong scent of vinegar, so spray a solution of equal parts of vinegar and water wherever they are hanging out, including inside your house. Find out where they are coming in and spray the area, along with where you see them on countertops, windows, and sinks. Remove rust from all your garden tools by spraying or soaking them with full-strength white vinegar. Let them sit for several minutes and wipe them down. Your tools will look as good as new. Most animals hate the smell of vinegar. So, soak a few items of old clothing with it and place them on stakes around the garden. Deer, rabbits, rodents--even your cat or dog--should stay away after they get a whiff of that pungent odor. Get rid of these garden pests by spraying them with a 50/50 mix of water and white vinegar. Fruit flies can be frustrating. Save your fruit crops by mixing together a cup of water, half a cup of vinegar, 1/4 cup of sugar, and 1 tbsp of molasses in an empty container. Hang it on the fruit tree, and you’ll attract and trap them. Your acid-loving plants, including rhododendrons, gardenias, and azaleas, will get a quick boost if you add vinegar to their soil. Mix one cup of white vinegar to a gallon of water and you'll make those plants happy.